Owing to our expertise in this field, our firm is engaged in supplying an extensive array of Single Lever Basin Mixer to our clients. 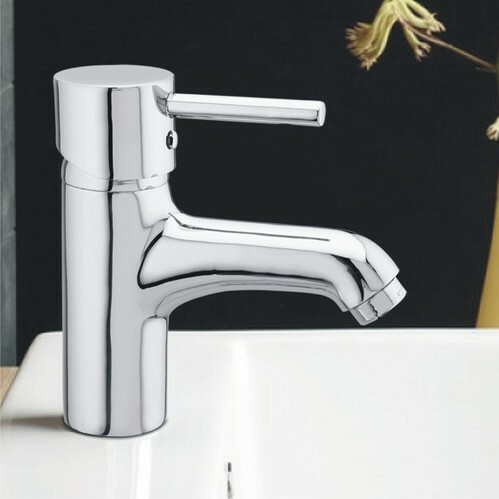 Established in the year 2007, we, "Channel Faucets ( A Brand of Meenakshi Industries )", are one of the leading manufacturer, supplier, exporter and trader of a wide range of Metallic Bathroom Fittings, Continental Bath Fittings and Designer Bath Fittings. In a small period of time we have earned a desirable status in the industry. Our product range includes Valentino Bath Fittings, Iris Bath Fittings, Continental Bath Fittings, Jazz Bath Fittings, Admire Bath Fittings and Bathroom Accessories. We lay great emphasis on the design of our products so as to provide efficient and long term solutions to our clients. Our well experienced team of professionals follows the industrial standards and norms while manufacturing the products. We export our products to different parts of the world, some of the countries where we export our products are Dubai, Russia, Nepal, UAE, Middle East. We have gained immense acceptance and trust in the industry as we aim to offer only premium quality products. Our consistency in maintaining the quality and long term functionality of products has enabled us to establish ourselves in the market. We are highly ethical in our work and engage in business dealings.